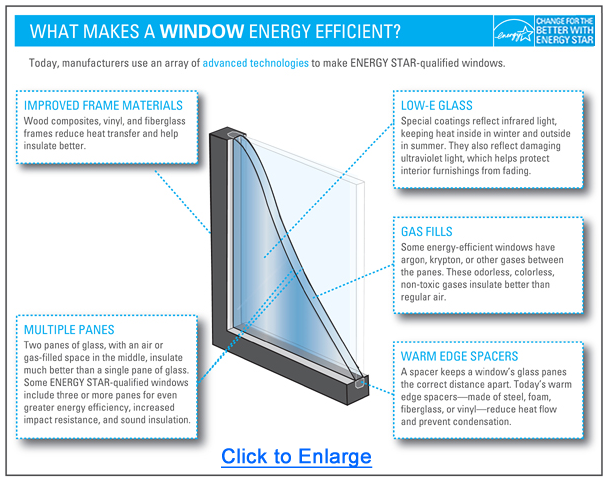 GreenHomes can help evaluate energy efficient windows and doors in your home! 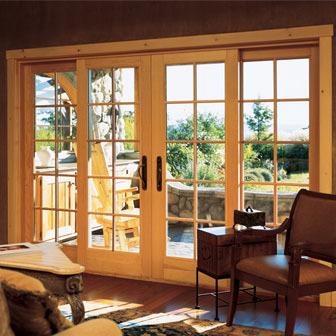 Windows and doors are part of your home and play a role in your home efficiency and comfort. creates savings on your heating and cooling costs. protects furniture and carpets from fading. Replacing windows and doors helps on multiple fronts. Done right, they control heat flow, reduce drafts. And not only do they help your home be more energy efficient, they also improve its appearance, resale value, and durability. These days there are so many new innovations available that not only make windows more energy efficient, but also make them easier to clean and enhance the look of your home. Even window glass itself is using state-of-the-art technology. New coatings actually keep dirt and grime from sticking to the window. This makes them virtually self-cleaning. The latest in window construction technology includes foam-filled frames and triple-glazing and improved weather stripping. These features help reduce drafts and energy use, as well as reduce external noise. In fact, noise reduction is a top benefit many customers cite. The single most important feature of new windows is proper installation. 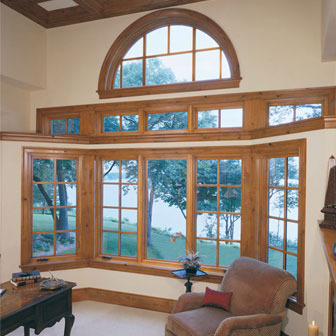 If windows aren’t installed properly, you can experience such problems as leaks, drafts, and exterior noise. 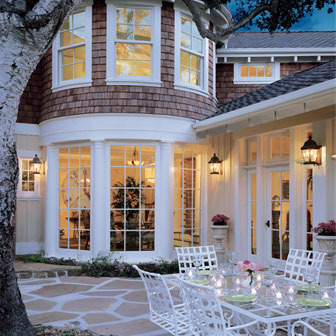 GreenHomes installs over a thousand windows and doors each year as part of our home performance improvement solution. We focus on quality installation to optimize comfort and energy savings. We don’t just replace your windows and doors: we also thoroughly air seal and insulate them to ensure you get the maximum benefit out of your new windows. My wife and I are truly amazed by the beautiful appearance your windows have provided to our home. With our energy efficient windows installed and the entire house insulated, we are sure to save money on our energy costs. In fact, we just received our new utility bill from national grid and the total was below our budgeted amount! I'll be looking forward to seeing how much money we can save for the entire year!